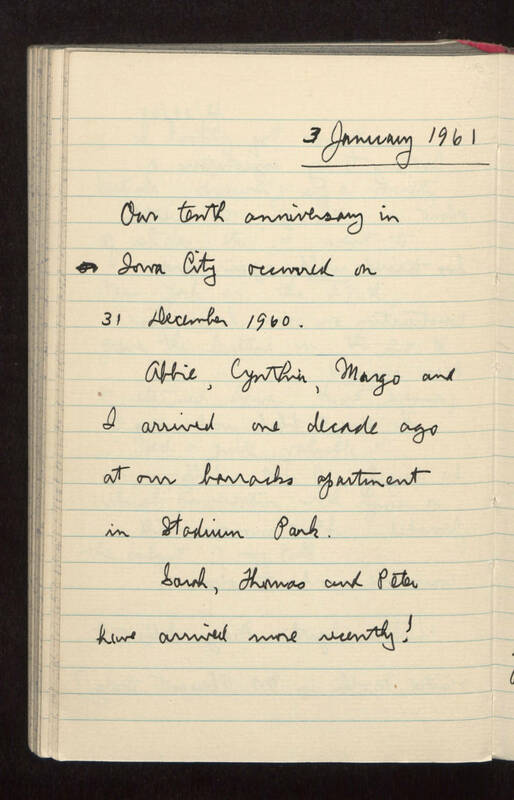 3 January 1961 Our tenth anniversary in Iowa City occurred on 31 December 1960. Abbie, Cynthia, Margo and I arrived one decade ago at our barracks apartment in Stadium Park. Sarah, Thomas and Peter have arrived more recently!